Coaching Programmes for our many participants ‘at all ages and stages’ have been geared to account for and suit each player’s individual performance level, requirements and ambitions . An important part of our coaching provision is the ongoing assessment of innovative contemporary coaching method and resources . Combined with extensive coaching experience at regional and county levels – these, have over many years and ongoing, continue to provide value benefits to all our participants. 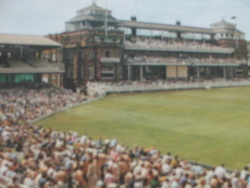 Our regular coaching is always in the development of the widest range of skills for all who play – those who enjoy Competitive League cricket both adult and junior , those who, while enjoying the game at a Leisure level, would nonetheless wish to sharpen their options, those who have been away from the game, and to all Club and County age group players. Finally our long standing County associations also underscore our more intensive programmes presenting high skill enhancements relevant to those playing at or ambitious for County honours at Junior – Youth – and on to Professional level. Our programmes delivered throughout Kent – Sussex – East Surrey – and South East London – are structured and targeted at your personal ambition – whether you are committed to selection at Regional or County Representative levels, Senior League or Youth League , Club Adult cricket – Club Junior or Schools cricket. Cricket Coaching – For You. Willowmasters drawing from experienced ECB Level III and accredited coaches offers a wide-ranging and flexible programme of detailed cricket coaching for individual players and squads. We work throughout Kent, Sussex, East Surrey and South-East London. Find out more about our cricket coaching courses. 5 of our participants in 5 innings have scored over 750 runs, each with centuries – one of our most talented players has scored over 1000 runs while taking over 30 wickets at representative and league level. Another developed into his 1st team’s top league batsman. A recent season best was over 1,500 runs with 3 hundreds and 12 half centuries. Amongst the Bowlers two still in their teens are moving up as Premier Division Opening Bowlers. Find your own place in your personal ‘Hall of Fame’. Check our Newsletter and cricket coaching successes. Draw from extensive knowledge gained working with – alongside – and in the company of – highly respected County Coaches – County Players and International Test Stars. Your programme will incorporate that cumulative wisdom plus extensive experience of coaching Elite County and Regional and National players. Find out more about our cricket coaching CV.